The hustle and bustle of the splendid town, alleyways overflowing with charm, and the historic shrines and temples. 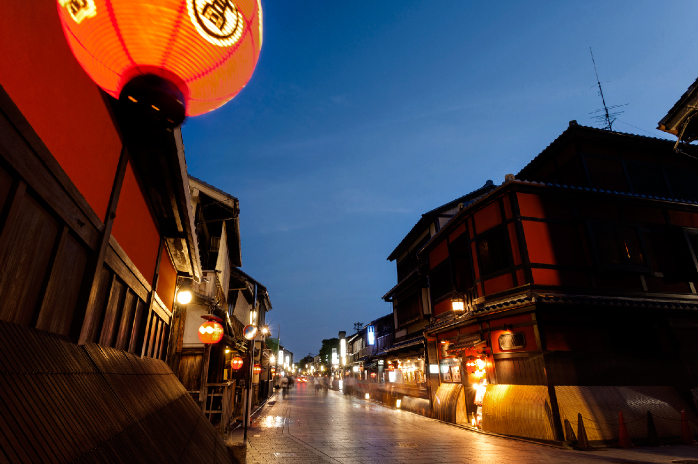 Sowaka is located in Gion Higashiyama, a popular area emitting a particularly strong feeling of Kyoto elegance. Here is an introduction to some of the most popular sites in the vicinity of our hotel. We recommend a morning stroll here. 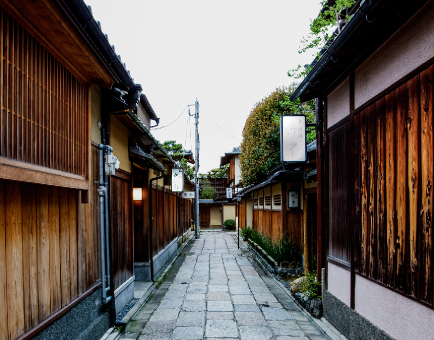 Since there aren’t many people in Ishibekoji Alley in the morning, you can hear the whisking of brooms and people saying “good morning” to one another. There is a wonderful view from Kodaiji Temple. If you look up at the sky through the bargeboard roof, the day will begin refreshingly for you. 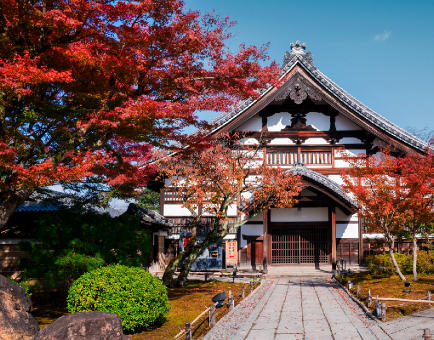 Within the temple precincts you can try the tea ceremony and Zen (reservations required). 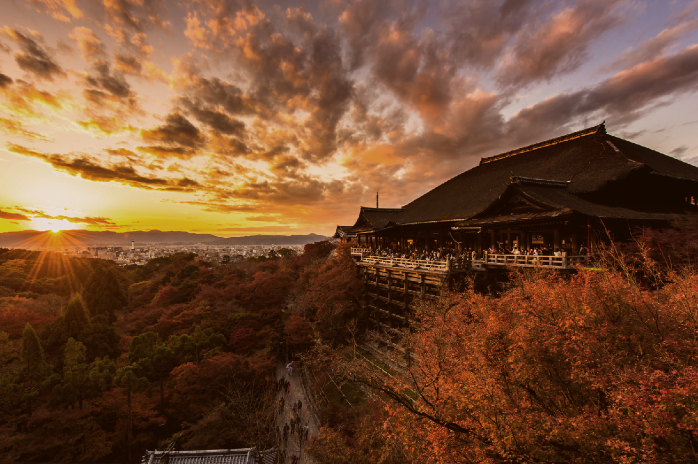 Kiyomizudera Temple, known for its “Kiyomizu Stage,” is a popular sightseeing spot. The place is crowded during the afternoon, and so if you are going there the morning is best. The temple’s surroundings are silent and you can occasionally see locals coming to scoop up the pure water. Here you can get a sense for everyday Kyoto and spend an invigorating time. Hanamikoji-dori Street, the center of Gion Kobu, one of the Five Hanamachi of Kyoto, is splendid for walking late at night. This street is quiet late at night, making the daytime noise seem unreal, and occasionally you will see maiko (dancing girls) pass by. A visit to Shirakawa, north of the hotel, is also a splendid experience. With the willow trees reflected on the surface of the river, you can hear the comforting murmur of the river. Right near Sowaka is “Yasaka-san,” famous for the Gion Festival in July. After the refined halberds are carried around the town, all disaster is collected and removed by portable shrines. Beside the Gion Festival there are other festivals held here each month, including Hatsuzakura Noh (Noh for the first cherry blossoms of the year), the Tanabata Star Festival and the Moon Viewing Festival, all of which are popular among the local people of Kyoto. 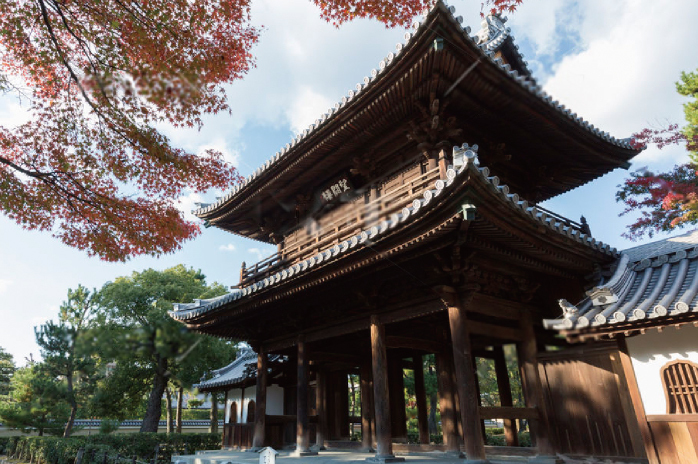 Popularly known as Kennensan, the local people pass through the grounds of this temple on a daily basis. And since the temple remains open 24 hours a day, you can walk around the grounds at night. It’s a good place to recover after a night of drinking in Gion. Beside viewing the head temple, you can also try Zen meditation at a temple located in the mountains, such as Ryosokuin. Meditating on a summer morning is particularly refreshing, both physically and mentally. 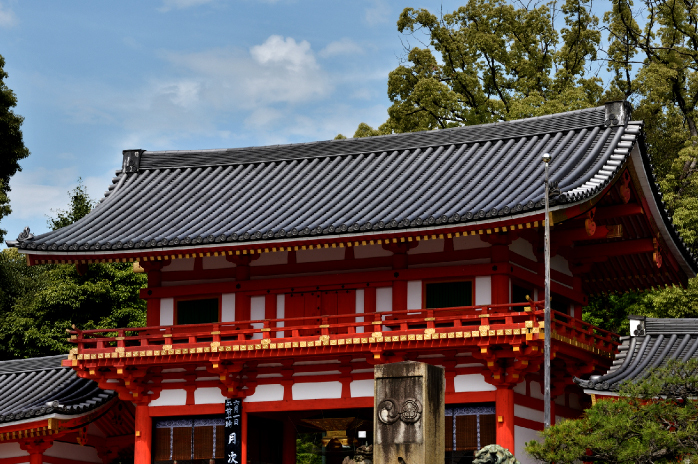 Take a visit Fushimi Inari-taisha, the head shrine of “Oinari-san” (the god Inari). 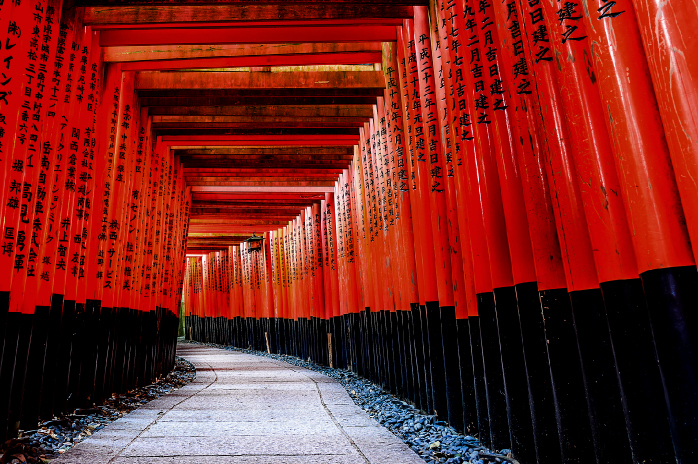 Impressive is the path lined with thousands of vermillion torii gates. the word indicates bright hope. It is also a color that indicates the power of life, earth and birth, which is presided over by Inari-taisha.